The highest quality, fastest prints, and a largest build space at the best value! 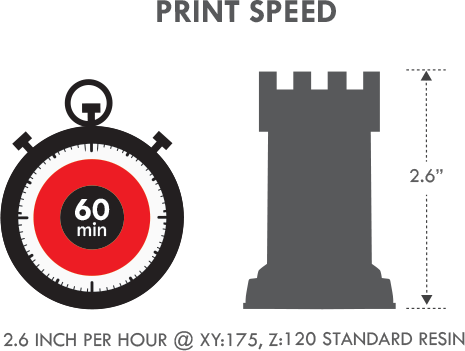 Print high-resolution parts at 2.6 inches per hour and layer heights from just 7.5 microns to 120 microns with a total of 440 cubic inches of build volume. Discount for Students and Schools. 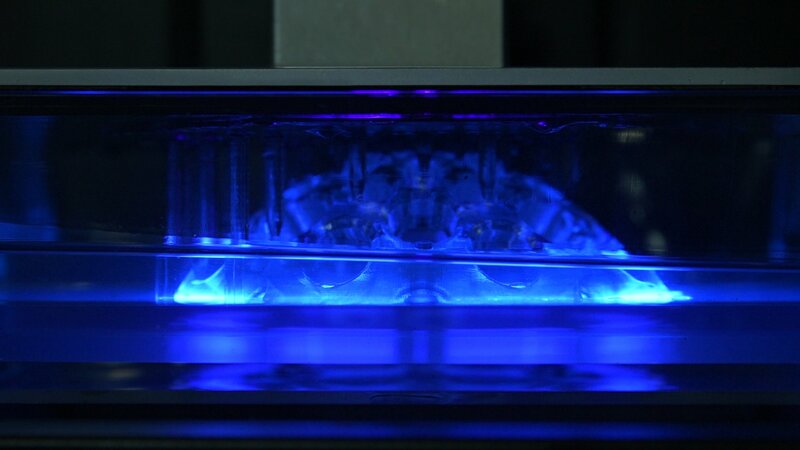 Stereolithography DLP 3D printing projects layers to cure solid parts from a liquid photopolymer resin with UV LED. Affordability and Reliability is a Major Factor in our Design. 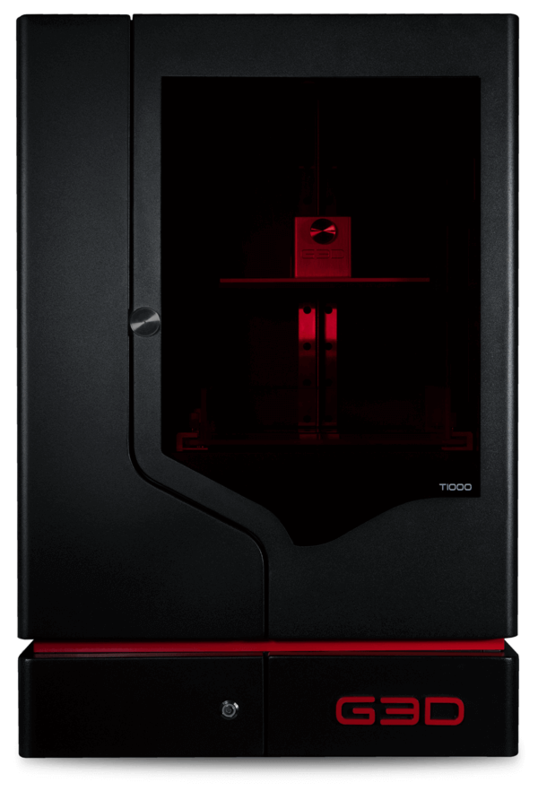 T-1000 is an innovative and cutting edge best value DLP 3D printing system that addresses the wider needs of home printers, and marks the major step in G3D’s commitment to bring disruptive manufacturing solutions to the market! High reliability, the T-1000 is perfect for anything from prototypes to jewelry. 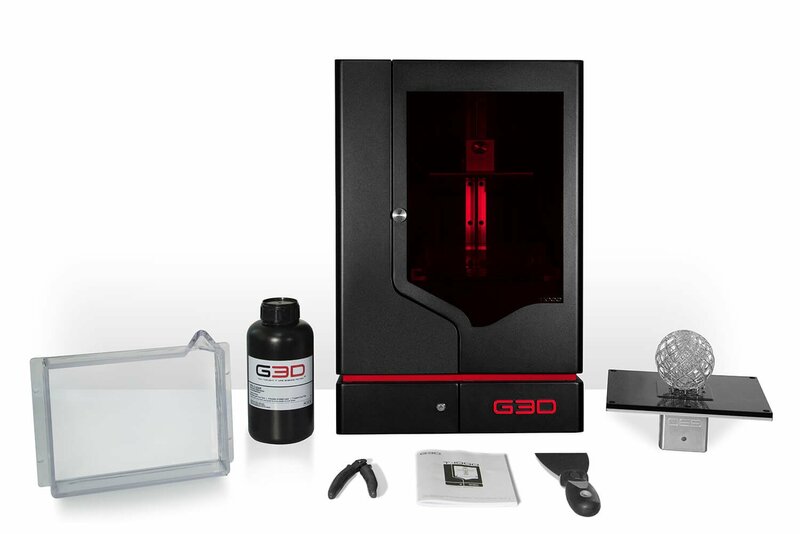 The T-1000 printer works with G3D's UV resin or photopolymer, but is an open system for those who want to experiment with other brands of materials. UV Photopolymer Resin Materials Designed for the T-1000 3D Printer. Providing quality 3D printing materials and the addition of different material types is one of our highest priorities. Control your 3D Printer from any Device. 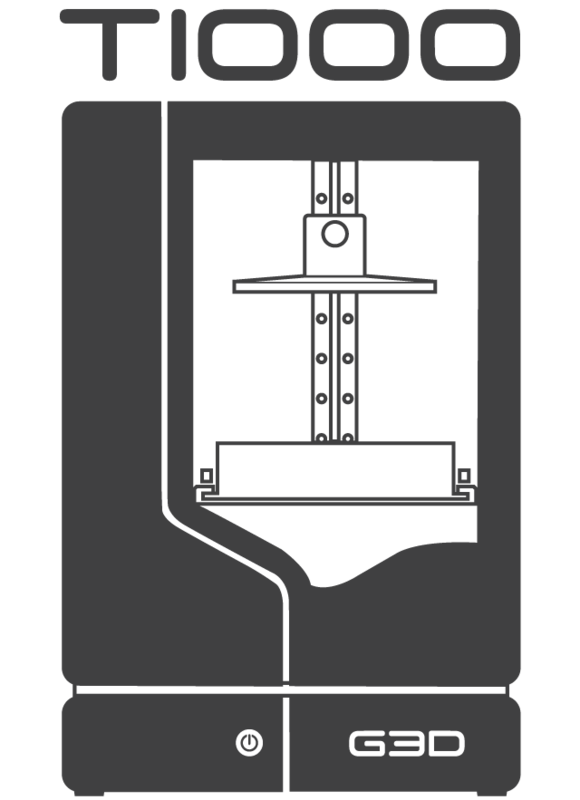 Any web browser can access your T-1000 3D printer, so new prints are easily setup! G3D's Layout and Slice software is simple and easy to use. Layout prints on your computer, slice and send to the 3D printer's web-ui. When supports are needed we recommend Meshmixer. Fast automatic orientation and auto-supports. Then you just export the STL to the G3D slice software. 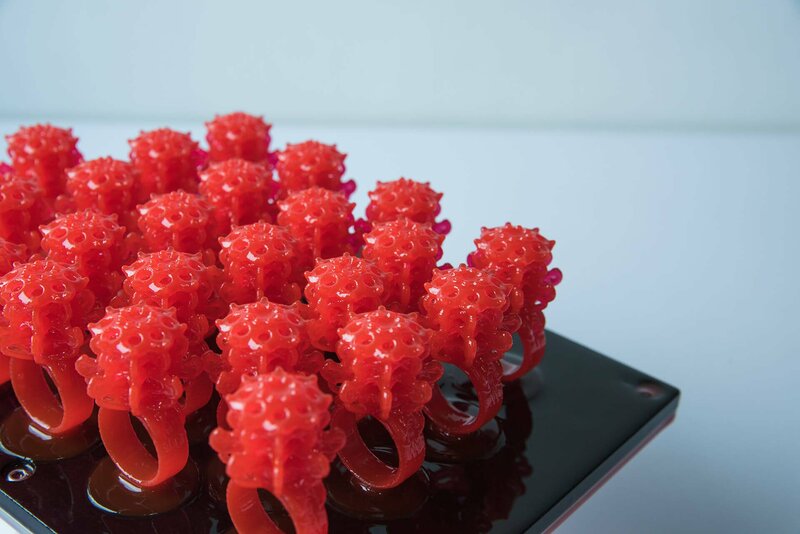 Rapid 3D Printing of Prototypes, Less Waiting and More Productivity. Having a level surface for 3D printing is crucial. 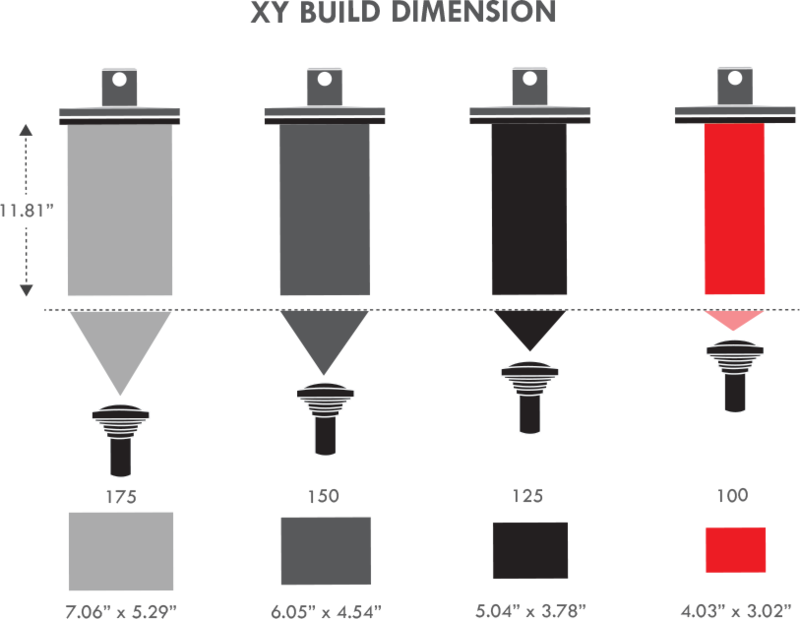 Durastone is extremely durable with superior resistance to heat. 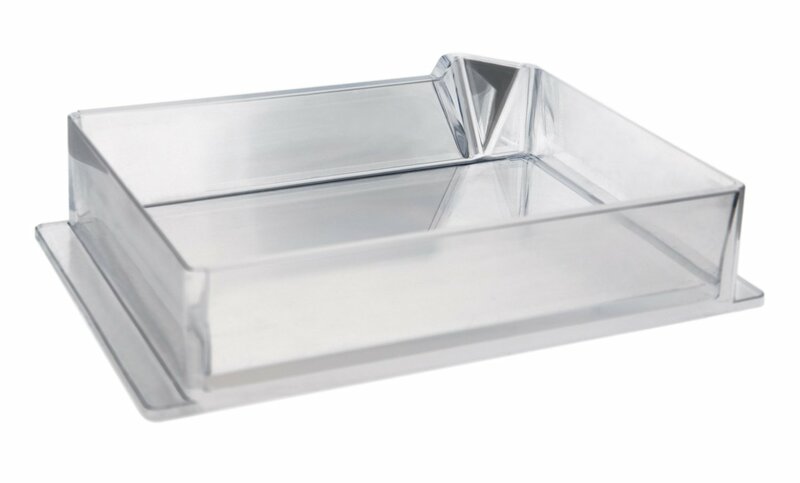 Look forward to the long life of the T-1000's resin based build plate. 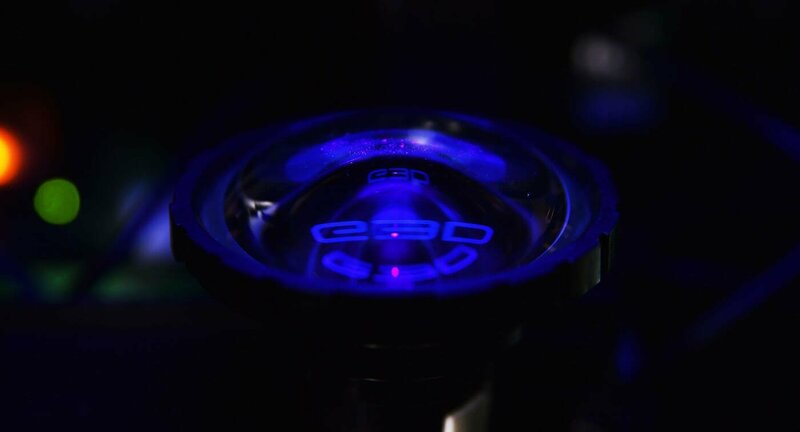 Combining a PDMS base with FEP dramatically increases the life-cycle of the VAT. 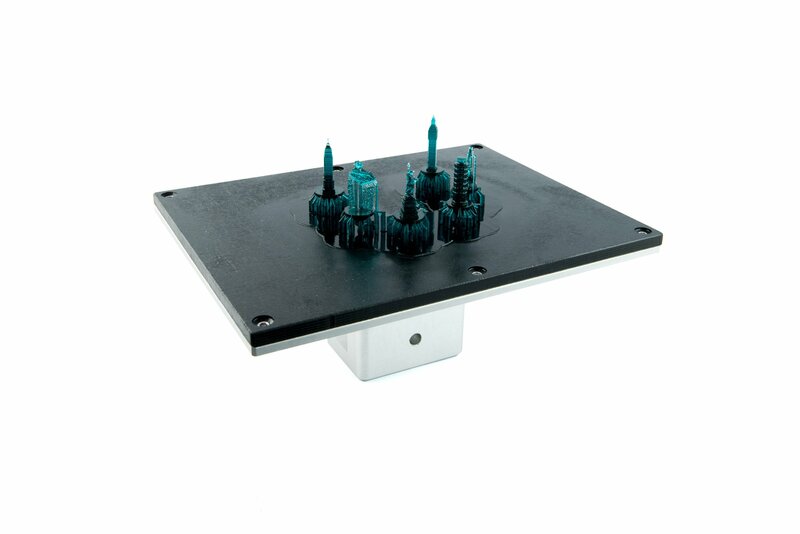 Designed for our patented self leveling system. Single piece polycarbonate VAT includes easy pour spout. Everything needed to starting printing! 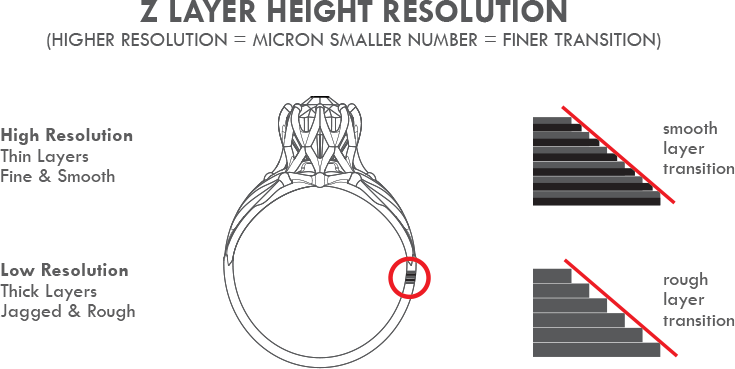 Fastest and Highest Resolution DLP Resin 3D Printer for the Best Value with largest Build Volume!